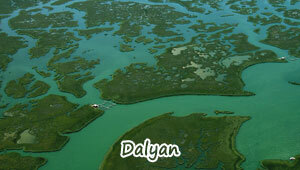 Dalyan had mixed town and countryside life. You may test many typical Turkish life style when you visit Dalyan. Charming. Authentic. Intimate. That's what Small and Friendly's all about. It lets you venture off the tourist trail and live like the locals. All our hotel's are handpicked for their home-from-home feel so it won't be 'goodbye' but 'see you next year'. Turkish blue beads are at the heart of an intriguing local cultural phenomenon. These tear-shaped blue beads can be found all over the place and are scattered to keep off the ‘evil eye' - or as it is called locally, ‘nazar' (literally translated this means ‘the look'). This superstition is one that most people feel merits some attention and locals believe that this evil eye can come without warning or provocation. The beads are said to protect one from this evil eye and that's why Turkish homes, vehicles, walls and streets are adorned with them. These beads are also sold here and you may like to take home some as a memento. Most Turkish resort towns have markets that are held weekly and attract the best of the local artisans, craftsmen and farmers. You can expect to find fresh produce as well as handicrafts, clothing and small trinkets that make great gifts for friends and family back home. Bargaining at these markets is the norm, so go out and have some fun! The weekly Saturday market in Dalyan is the ideal place to get all you want in one place - and at bargain prices! Haggle and you're sure to get lots of stuff at great prices. Tiny shops open up and these stalls sell everything from more expensive carpets to small ceramic products and handicrafts. Some vendors peddle counterfeit products which mimic international designer brands well but are fake nonetheless. The art of bargaining in Dalyan is fast dying out as the practice loses out to fixed price stores and tags make an appearance on local made goods. While you can haggle if no prices are displayed, the presence of a price tag is a good indicator that bargaining will not be encouraged at that shop. Tourists are also more aware of prices and so the absence of tags doesn't allow vendors to get away with charging the unsuspecting traveller an unbelievably high price. "Dalyan market is on Saturdays and is located across the road from the mosque, you can not miss it you will hear the market sellers shouting cheaper than Asda price. The market is not very big which is good as most of the big markets the stalls just repeat themselves anyway. You can enter the market from the many openings around the market and for the most part it is under the cover of canopies. Drinks can be bought from the shops, cafes and restaurants that are located around the edges. A varied selection of stalls sell herbs and spices that you can smell as soon as you enter, fruit and veg with all their vibrant colours, Turkish delight with the market sellers tempting you by offering you to taste their wares. Clothing stalls selling the genuine fakes at a fraction of the cost of the real stuff, be careful some of the quality is not as good as others so look at a few stalls before buying. Home-ware stalls sell lamps that hold tea-light candles, pots and pans even hammers and kitchen stuff. Fake watches and silver jewellery can be bought which is a lot cheaper than the UK. Haggling is a must to get a really good bargain, my tip is to start low and then meet somewhere in the middle, but only barter if you intend to buy as this is their livelihood they are not just a tourist attraction. Do not forget your return journey weight allowance on the flight home, as some of those bargains could become expensive if your well over weight..."
June Haimoff is an English environmentalist who settled in Dalyan. 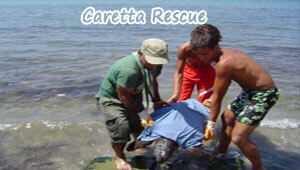 After her retirement and has launched a successful campaign for the conservation of loggerhead sea turtles (Caretta caretta) which lay their eggs in the İztuzu Beach in Dalyan. She visited Dalyan for the first time in July 1975, long before the mass tourism arrived in the region, with a boat (Bouboulina) purchased in Greece. Affectionately called "Kaptan June" (Captain June) by the locals as she came to be known, she settled in Dalyan on a permanent basis as of 1984, living with a dozen dogs and cats in a solitary barrack on the beach. She realized that the sea turtles unique to the locality were lethally menaced by the buildings that were starting to rise like mushrooms on the beach with the development of tourism. Since then, she dedicated her efforts to assure conservation of the site as well as attracting international attention to the fate of the turtles. 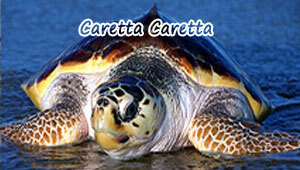 She relates the struggle and the victory for the preservation of these species in her book titled Kaptan June and the Turtles published in 1997.